Estimating cost is a critical first step in the life of any electrical project. But calling it tricky would be an understatement. There are so many variables involved the task can feel Herculean. Complicating things even more is the fact that there are so many different electrical estimating techniques you can use. How do you choose? Is one better than another? We’ll help you answer these questions and sort through this often-fraught process in this rundown of five of the most common electrical estimating techniques. Read on to see which one might work for you. Each of these techniques has their benefits, but not all of those benefits are created equal. Sometimes the only benefit is speed, which is rarely the highest priority when you’re trying to do high-quality work. Below, we go over the details of each of these five electrical estimating methods and when it might be best to use them. Let’s dive in. In the per-point method, each fixture counts for points that have a common dollar value. This means assessing every fixture within the process, from lights and fans to switches and sensors. It also means choosing wisely when it comes to a dollar amount. To give an example, if you’re estimating a project with a total of 80 points and the dollar value you’ve chosen is $100 per point, your estimation for the project would be $8,000. The per-point method is quick and gives the satisfaction of analytical insight. But problems arise when considering the requirements of an individual project. This method is often too general, which can result in money running out and other delays. As opposed to assigning a value to hardware, the labor unit method assigns a value to the human labor required to install and fix that hardware. This is a method which can more accurately represent the work required to complete a given task. It is more tailored to the contours of each individual project, but problems can still arise when the estimate does not account for unfavorable working conditions. 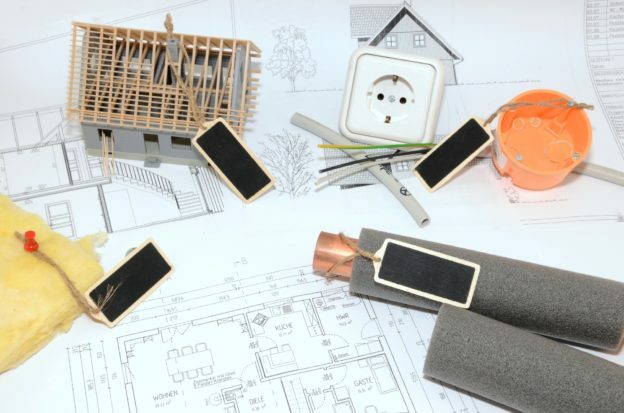 In the design and construct method, you will not only implement construction, but you’ll also be involved in the design process along with the owner. To execute a design and construct method effectively, you’ll need a comprehensive understanding of all aspects of the project, including labor costs, materials, equipment, and means and methods of design. It helps to have visual aids in this process. The drawback of this method is its complexity, which simply will not be right for every project or contractor. This method allows you to create more sophisticated takeoffs because the units that go into the estimate are for an entire assembly or build of a project. These assemblies take into account all the materials and labor involved in executing a project. With the pre-build method, there is still the risk of inaccurate measurement, along with the lines of the per-point method. This makes sense since the pre-build method is just a more complex version of the per-point method in many ways. Travel time to a project can cut into profits in both models. This is an expert’s game. We don’t recommend guesstimation as a first or even second line of defense, but it can work if you’re a master of the thin slice. But if you’ve completed enough similar projects and have the confidence in your team’s experience, guesstimation is a quick way to muscle through the estimating process and get to work. With exposure to each of these electrical estimating techniques, you can improve the process you use. There are even ways to combine elements of these techniques into your own personal hybrid. We hope this overview has been helpful. If you want even more help with your estimating, check out the plans we offer.